A celebrated public speaker, Gigi is an accomplished writer, corporate trainer, career and executive coach. Often sought after as a keynote speaker and Mistress of Ceremonies for various affairs across the country, Gigi has the reputation of speaking with vulnerability, empathy, warmth, and wit. 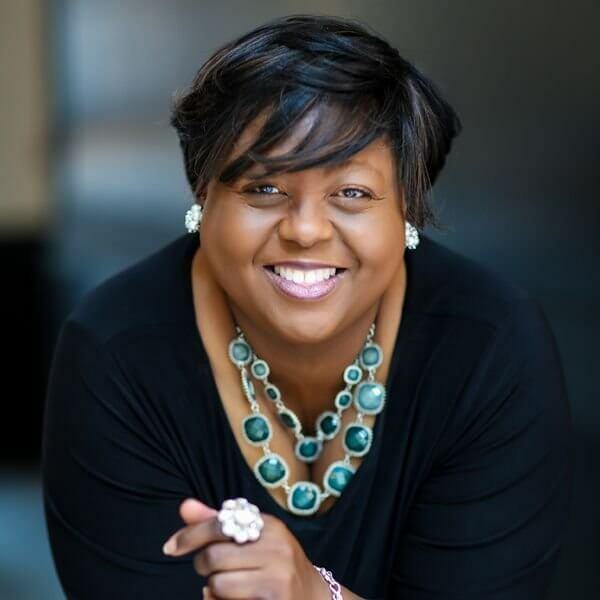 Noted as one of the leading African-American female entrepreneurs in the Tri-state area, Gigi has run her highly successful learning and leadership consultancy for the last decade. Gigi received her Bachelor’s degree in Sociology and Communication from Rutgers University and is currently pursuing an Executive Masters in Organizational Development from Cornell University’s School of Industrial Labor Relations with a focus on Diversity, Equity, and Inclusion. Prior to joining the Moxie team, Gigi served as an adjunct facilitator at Westchester Community College’s Professional Development Center, and has coached leaders at the Lambda School, Dress For Success, Pace University, Kinder Care Education, Calvin Klein, MGM, Kenneth Cole, Tory Burch, Ann Inc., Tiffany’s Inc., Phillip Van Heusen, TIAA, Takeda and UNUM insurance. A champion of inclusion, (and an outspoken enemy of exclusion on any level), Gigi is the author of both “The Loud, Brown, Round Girl” and “The Inclusion Code” (both set for publishing in Fall of 2019). A native resident New Yorker, she’s devoted to her faith, family, and equality for everyone everywhere.